Just behind the Anzob pass there is a source of the amazing river Yagnob. From time to time it is constricted into the narrow frightful canyons or spreads with spacious valleys and Alpine meadows. The ravine extension is more then 100 km. In the middle of the river where the valley is rather broad and open, at the heights of about 2000m - 3000m there are small villages where yagnobians live – the certain group of Tajiks - direct descendants of Sogdians. Their language is one of the insufficiently known dialects of the ancient Sogdian language which was used by the representatives of a part of the modern Tajiks ancestors before the conquest of Central Asia by the Arabs in VII-VIII centuries. 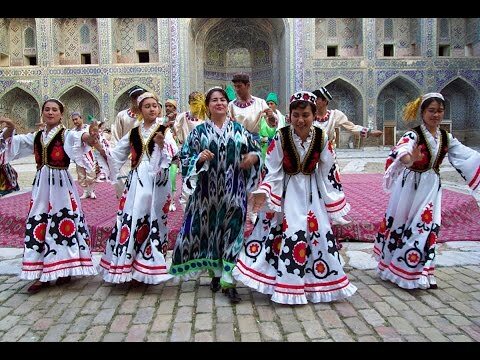 Now the yagnobians speak two languages – Yagnob language relating to the East-Iranian group and Tajik language. And the yagnob language is not understandable for Tajiks. Traditional dwelling in the local settlements (and there are more than 20 of them in the valley) is constructed from the slate plates and consists of numerous habitations and utility rooms often integrated under one roof where they keep the fuel stock and fodder. The ceiling is calumniated with fretted beams; the niches for household things are built in the walls. Furnaces and fireplaces are mandatory attributes of all living quarters. In spite of the fact that today the yagnobians are the Islam adherents, they loyal to some pre-Islam views connected with the ancient heathen concepts - Zoroastrianism (fire-worship). 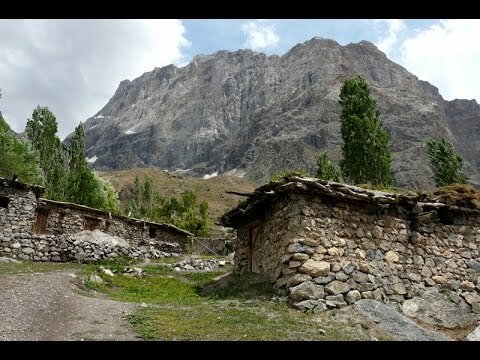 Zamin-Karor (Yagnob wall): In the same place there is a popular in the mountaineering world massif Zamin-Karor, that is translated as “Quiet ground” which is known mostly under the name of “Yagnob wall”. This, without exaggeration, grandiose masterpiece of nature extends for 8 kilometers. The massif consists of eight distinct, independent peaks ranging from 3,709 to 4,767 meters high. Altitude difference from the foot to the top is 800-1,100 meters. The average steep of a hiking route is 70-85 degrees. Eastern and northern slopes are rich with glaciers.The severe north-western and western walls hosting the most complex mountaineering routes are unique. Descent takes place on the simpler southern slopes. The most favorable time for travels - since May till October. This tour offers acquaintance with a life, culture, language features and architecture of a small ethnic group – Yagnobians. It’s the last Mohicans of the Tadjik land - lineal descendants of the great Sogdian nation. Besides, the natural features of this valley will be interesting to tourists: the mountain landscapes untouched with a civilization, the Yagnob wall well-known in the climbing world (Zamin-Karor), and also cultural and historical values - mazars, rock painting - petroglyphs. ancient water-mills. Route: Dushanbe - the upper of Romit ravine (Rufigar village) - pass Rufigar (3403 m n/c) – Yagnob ravine (settlement of Yagnob ravine – Novobad ruins, Kirionte, Pskon , Bidef and etc) – Yagnob wall – Anzob pass (tunnel) – Dushanbe. Arrival to Dushanbe. Meeting at the airport. Accommodation in a hotel / apartment. acquaintance with a city, excursions. 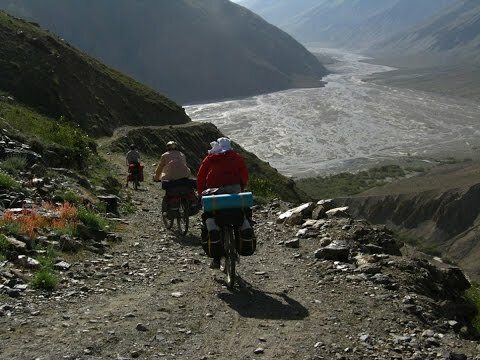 Departure to the direction of Romit gorge to Rufigar settlement. The road passes in picturesque places along the river Kafirnigan and Sardai-Miyona by Romit reserve. Second half of day - the approach to camp №1. Night in a camp. Transition through the pass Rufigar on a streamer of the thrown road, an exit in the Yagnob valley to the river Yagnob and camp №2. Night in a camp. № 3. Night in a camp. Transition through Dekhikalon, Kirionte settlement to Pskon. Acquaintance with a life, traditions, architecture of yagnobians. Spending the night in traditional dwelling of yagnobian inhabitant. Visiting of settlements of lateral gorge of the river Takobikul : Garmen, Sokan, Kool. Visiting of Mazar near Sokan settlement. In this direction other yagnob routes Y 9 begins. Spending the night in traditional dwelling of the local resident. Pleasant transition to Bidef through Petif, Tagichinor, Naumetkan settlements. Returning to the city. The road lies through canyons with picturesque landscapes on either side of road, by the Yagnob wall well-known in the climbing world, through pass Anzob to the Varzob valley - favourite vacation place of the guests of Tajikistan and local citizens. Night in hotel / the guest house. Excursions on a city, visiting of museums, markets. Send-off in the airport.